Welcoming Erika Elshamy to our Sales Team! 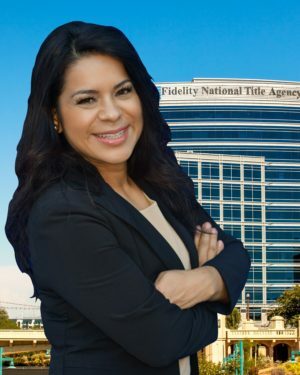 PHOENIX, ARIZ. (July 2018) – Fidelity National Title Agency is proud to announce that Erika Elshamy will join its residential sales team as a sales executive at the Litchfield Escrow Branch in Goodyear. Elshamy volunteers at Feed My Starving Children and participates in activities that benefit the Make-A-Wish Foundation, St. Jude’s Children’s Research Hospital, The Pat Tillman Foundation.